Try some of these beef recipes for your next cookout. Right now we only have a handful of recipes in this category, but what we have are ones you will want to try. 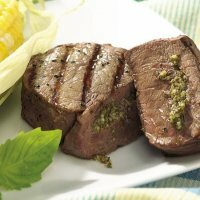 With stuffed steaks and Boneless BBQ sandwiches, you will want to fire up the grill and try them all. Save some of your daily and weekly allowance for these recipes as this category does not fall under the "zero points" food list. Most of these are low in carbohydrates, so if you are counting carbs, you can count on these to fit into your diet plan. All recipes show the ingredients needed, step by step directions, nutrition information and Weight Watchers Points so you can track the information you need for your weight loss program. 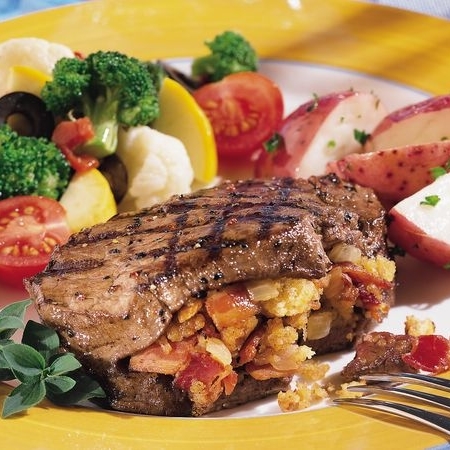 This steak recipe is stuffed with the crispness of bacon, the flavor of cornbread stuffing and sauteed onions. 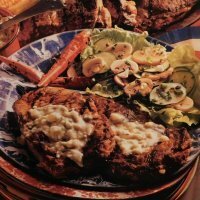 This ribeye is not only stuffed with the taste of garlic, it's topped with the sharp taste of blue cheese. Here'another tasty stuffed steak recipe for all you grill masters. This is a steak lover's dream. 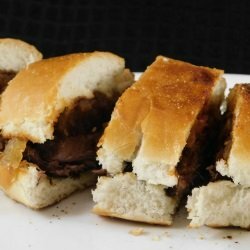 Bite into this tender boneless BBQ sandwich for your next lunch or dinner. Be sure to have lots of napkins on hand. We will be adding lots more beef recipes, but until then, check out one of my favorite sites All Recipes for more beef recipes.